Home » Slider » Brexit Talks at Chequers Concluded – What Was Agreed? The Prime Minister left Chequers at 10 pm yesterday after a meeting with a number of her senior cabinet ministers.which lasted in excess of 8 hours. Following the meeting it has been informally reported by some of her colleagues that there is now a broadly agreed Brexit approach to be put forward to the rest of the European Union. This will outline our agenda for the next phase of the talks that will determine the relationship between the UK and the EU for years, if not decades to come. It was further reported that ‘divergence had won’ with some colleagues claiming that the UK will go for a so-called mutual recognition with the EU on goods which would indicate there is no decision to adhere to EU rules in the future. Essentially there was no real breakthrough and little discussion took place on the ‘Customs Union’ but apparently a sensible approach has been agreed in respect of what we shall be asking for in our future negotiations with the EU. This all sounds very much like the Cabinet have not agreed any RED LINES for the Brexit negotiations and are therefore preparing to give away anything and everything, and thus compromise British sovereignty, banking and world trade freedoms, to arrive at a deal which will almost certainly leave Britain tied to the EU for many years to come. The British Democrats hope that the informal early reporting of the Chequers cabinet meeting agreements are less that accurate and a truer picture of Britain’s Brexit approach will emerge during the next few days. It should be remembered that Britain has an annual trading deficit with the EU of £80bn which would certainly leave a big hole in the financial budgets of at least 4 of the 27 EU countries should a mutually acceptable trade deal not be reached. Britain has many Brexit strengths with which to negotiate like the trade deficit and which the Government need to identify and use to broker a sensible deal for the British People. Teresa May and her Government must now take a stronger negotiating stance with the EU, lay down our RED LINES and place our demands on the table. The EU have been laying down their demands since the start of the negotiations and it is NOW time Britain gets into the ‘driving seat’. 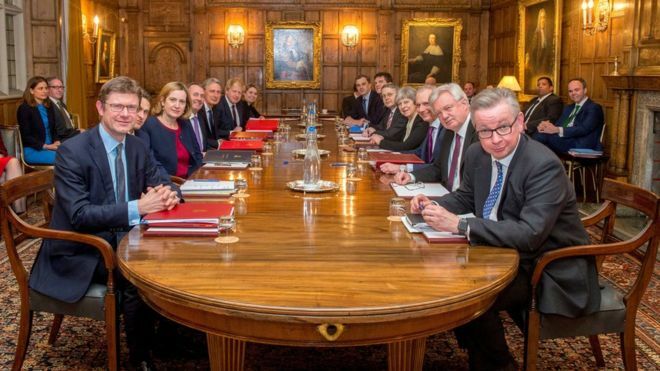 Tagged Brexit, British Democrats, britishdemocrats.uk, Chequers Cabinet Meeting. First class and very Prompt reporting on the SECOND BIGGEST ISSUE OF OUR TIMES. Well done. We Nationalists know what really matters. Oh , the First issue ? MASS MOVEMENT OF PEOPLES !